The color of these beads are plain Yellow not same as the picture. These unusual beads are strung together as pictured - hangs 8 inches )16 inches opened), but too small to fit over neck unless opened. They are designed to count prayers. 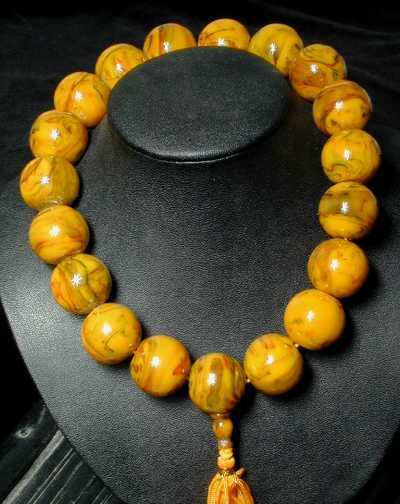 There are 19 x 21mm large amber beads, polished smooth for a nice finish. Pattern may be slightly different to picture depending on stock.